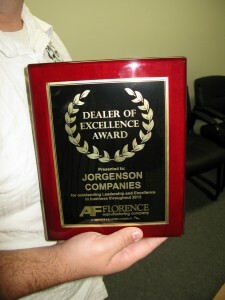 This award was a bit of surprise despite the fact that Jorgenson Industrial Companies is one of the largest locker suppliers in North America and offers an amazing selection and array of new lockers for just about any and every application, organization, and use. Pearce’s long hours and hard work in building an easy-to-navigate website is one of the many factors contributing to the increase in sales of the Mini Brand storage lockers built by Florence Manufacturing. 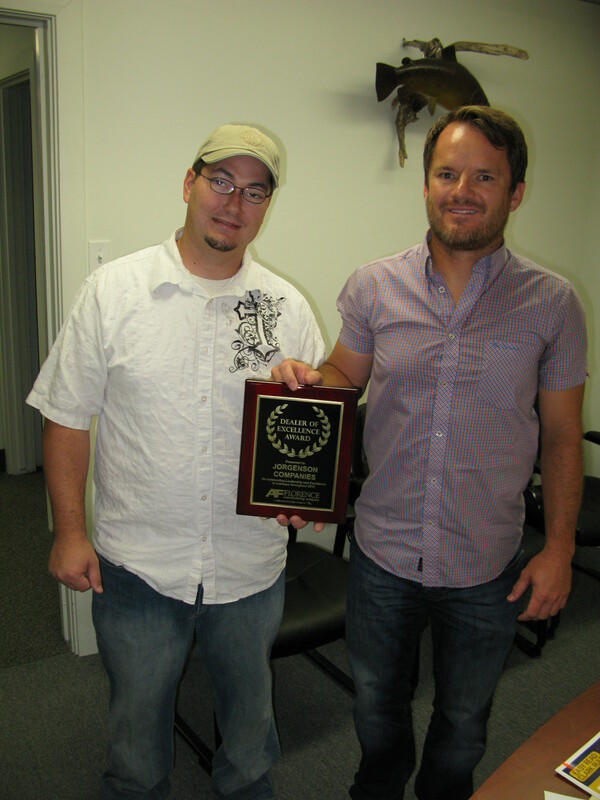 “Our company is very honored to be considered, let alone be a recipient,” said Jorgenson. “We consider many factors when evaluating the dealers for this award, including; year-over-year sales growth, year-end sales volume, loyalty to the Florence brand, promoting the Florence brand at industry related trade shows and events, and working with professionals who influence the use of our product, such as architects and others,” added Ladouceur. Jorgenson Industrial Company sells the Florence built Mini brand storage lockers, among other products. Jorgenson customers have found that these can be used in a variety of ways such as cell phone lockers because they are designed to secure a number of small items such as keys, wallets, cameras and cell phones. Usually businesses such as water and amusement parks, government buildings, police stations and other places where such things as cell phones are not allowed look at buying and installing these for their facility. From all of us here at Jorgenson Industrial Companies we look forward to continuing with the same level of service and recognition with Florence Manufacturing Company in 2013 and beyond.